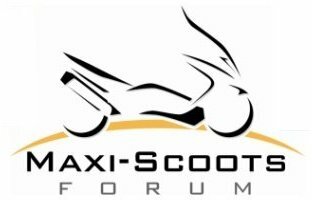 Maxi Scoots > Riding > Motorcycles > CTX700 Automatic for sale. After setting the CTX up for my wife, she decided she wants a CanAm. Features: Fully automatic transmission and anti-lock brakes. Extras: Hepco & Becker soft saddlebags with the super slick C-bow mounting system. Centerstand for easy maintenance. Crash bars. Setup: I had the rear brake relocated from the right footpeg to the left handlebar using a brake assembly from the Honda Silverwing. So the bike is perfect for a scooter rider moving up. The bike has about 2000 miles and is perfect in every way. Re: CTX700 Automatic for sale. Did you relocate the foot brake yourself, or did you have it done? Also, do you have a list of the parts it took? My brother is thinking of doing it on his 2018 NC750 X DCT. The local Honda shop did it. Used braided stainless lines and a rear brake assembly for a Silverwing. Not yet. We're gonna trade it in in a couple of weeks. It's a shame, because I set it up for a scooter rider. If we didn’t have the DN-01 I’d get it. If only you were closer. 14 hours one way is a bit far. I could meet you halfway.